Our adorable 4-piece small rainbow zinc grinder is as cute as it is functional. This little baby will grind your dry material up perfectly while looking ever so darling. 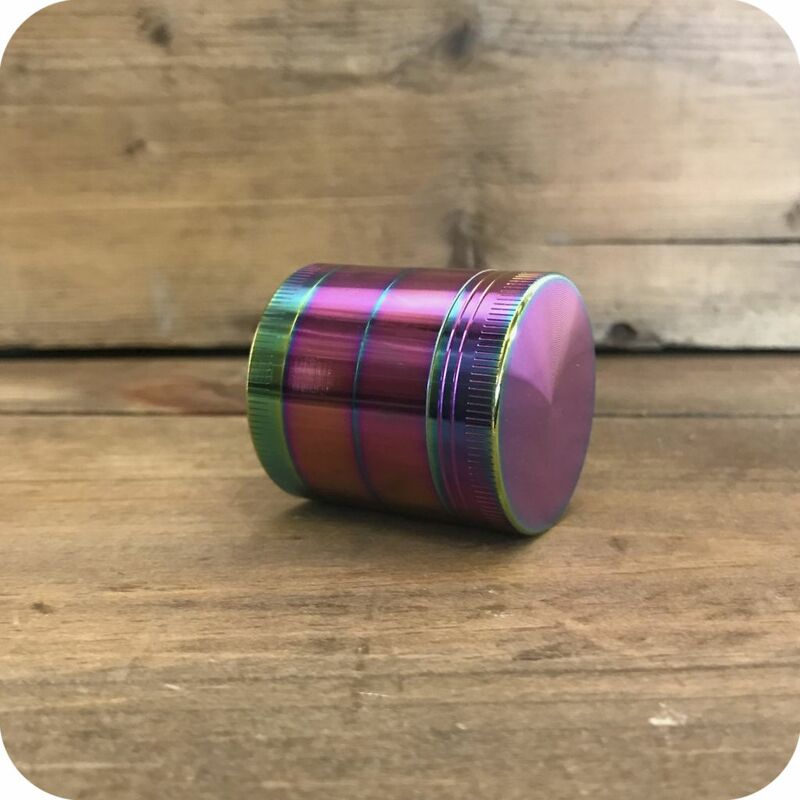 The colors of this grinder change depending on the angle it’s being adored at. With every twist and turn you’ll probably hear some “oohs” and “ahhs”. Why not incur some ealousy from your friends? Improve any smoking session’s aesthetic with this beautifully radiant piece. The first chamber contains sharp teeth that will grind your legal herb to a perfect finish. Your ground material will fall beautifully onto the second chamber’s mesh screen. This fine mesh screen sifts the smallest particles of your herb, known as pollen, into the final chamber. In this final chamber a collection of pollen will start to form through each grinding. Just remember to give your grinder a good tap after you’ve ground up all your material therefore allowing the pollen to get through the screen. 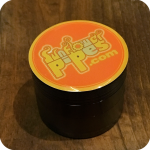 Pollen is precious to the conscious smoker because of its high quality and versatility. Sprinkle it on top of a bowl, roll it in a hand-rolled cigarette, or smoke it by itself. Pollen is a beautiful thing worth saving. 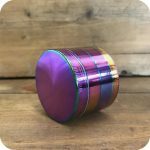 The grinder itself is made out of the element Zinc, which is known as a better and safer alternative to aluminum. This precious grinder is measured at 1.5″ diameter and 1.75″ height. 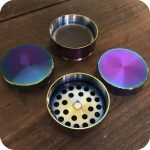 This grinder is perfectly portable due to its petite nature. 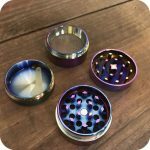 Slip it into your pocket, purse, or even fanny pack because this grinder is the king of convenience! This is the perfect gift for that special person in your life. Especially if that special person is yourself. 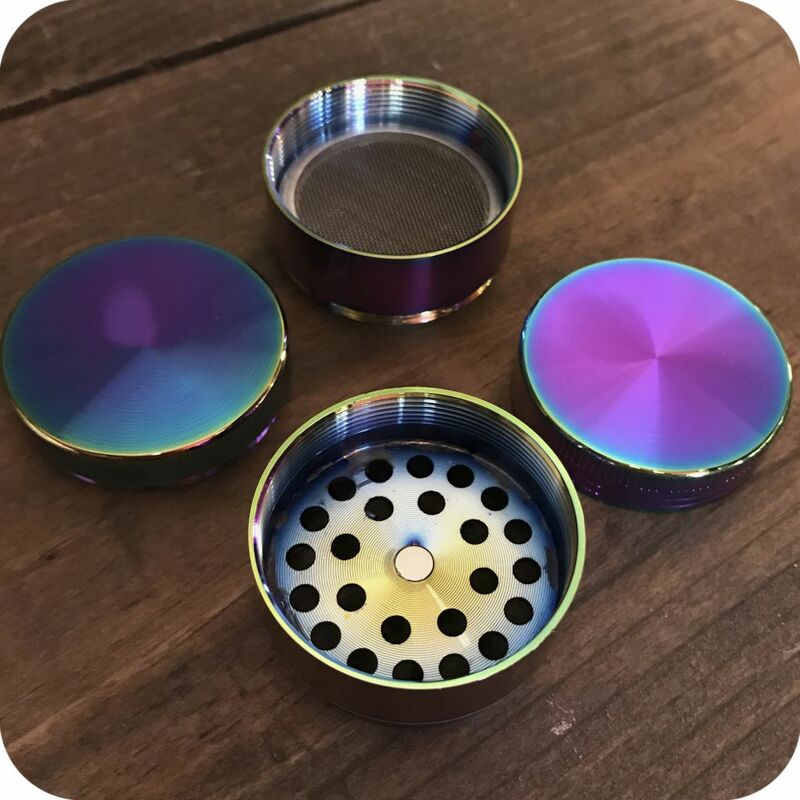 Advance your smoking ritual with our small Rainbow Zinc grinder! Tags: Brooklyn, brooklyn glass, brooklyn smoke shop, bushwick, bushwick head shop, bushwick smoke shop, glass, glass pipe, glass shop, Grinder, heady glass, new york, new york city, new york city headshop, new york city smoke shop, pipe, pipes, Pollinator, small rainbow zinc grinder, sunflower, Sunflower Glass Co, Sunflower Glass Company, sunflower pipes, williamsburg, williamsburg head shop, williamsburg smoke shop, zinc grinder.